On Friday the 15th January the Italian Cultural Institute was re-opened after renovations. 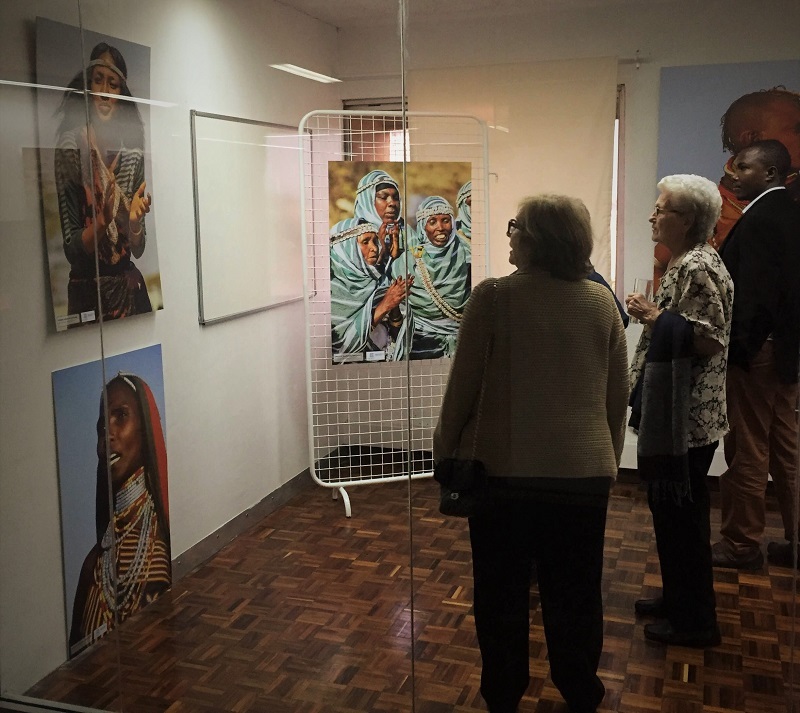 During the opening, people got a glimpse of the upcoming TARA-curated travelling exhibition by UNESCO: “In Search of Kenya”, which will begin its journey through the country from the Alliance Française in Nairobi later this year. The full exhibition aims to show the immense variety of Kenya’s intangible heritage. What is currently on display at the Italian Cultural Institute, however, focuses on Northern Kenya, a theme chosen because of the institute’s interest in the region. While the images selected for the exhibition are too few to cover all of Kenya’s intangible cultural heritage, they certainly show some of its breadth. Cultural practices, economic activities, dances (music and songs one needs to imagine still), clothing, jewellery, colours, all set in Northern Kenya landscapes are represented. The selection also includes rock art images, because rock art conveys strong intangible heritage values. TARA has had an active role in producing the travelling exhibition. The 50 plus images selected for the exhibition come from our extensive archive and thus show the scale and depth of our expertise in the field of cultural conservation, expertise that we have developed over the past 20 years, and that goes beyond rock art. 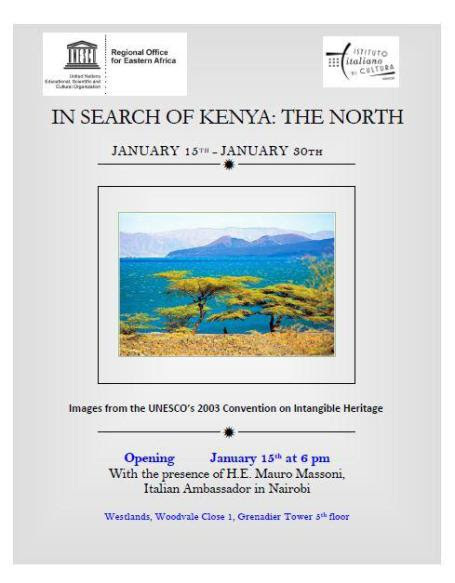 ‘In Search of Kenya: The North’ –exhibition at the Italian Cultural Institute, Westlands, Woodvale Close 1, Grenadier Tower 5th floor. Open 15 Jan to 31 Jan. Entry is free to all.